Don't run dry - wireless monitoring for efficient water management. Home > Blog > Don't run dry - wireless monitoring for efficient water management. On Aussie small farms water monitoring is essential, particularly during the summer months in low rainfall areas. When keeping any livestock, it's essential that you have access to a good quality, reliable supply of water for their care. Farm experts Gallagher have made the most of new digital technology to solve the age old problem of knowing how your water supply is travelling. Their new wireless water monitoring systems were designed to address the shortcomings of manually checking water levels, saving landholders precious time while delivering complete confidence in water levels. 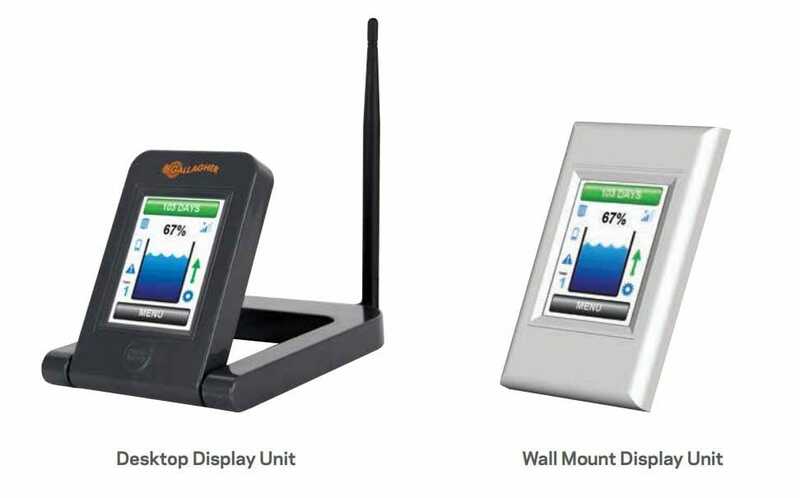 Gallagher's all-in-one wireless monitoring systems use touchscreen monitors placed centrally the home or farm office to allow you to remotely monitor the water levels or your tank or tanks. Information from sensors in the tank is relayed via antennae to the monitoring station both desktop and wall mounted version are available. 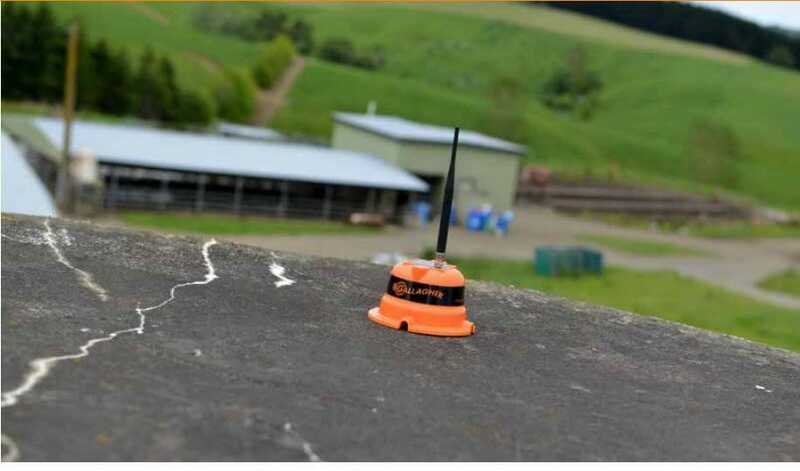 The multi-directional antenna that comes with the Gallagher One Tank System desktop version has a range of up to 4km, but the range can be increased with antenna upgrades for larger farms. The tank unit is solar powered, eliminating the need for mains power or batteries, and constructed of heavy duty marine grade plastic. Marine grade stainless steel is used in the tank level sensor. Aside from the convenience of being able to monitor water levels from the home or office, having the information available digitally also gives you access to 30 day usage charts. This allows water demand and supply to be monitored easily, and lets you quickly spot trouble such as leaks. The system can also include a water pump that is automatically switched on to refill tanks based on pre-set water level triggers. While many small farmers enjoy the escape from the city, it doesn't mean they want to flee all the conveniences of the modern age. Wireless water monitoring is a welcome innovation, allowing you to keep an eye on crucial water levels over summer, while having more time to enjoy the things you love doing. Want to take advantage of more efficient water managment? Check out our range of Gallagher wireless water monitoring equipment.